One morning a villager was walking along the river. As she was enjoying the view, she noticed a crying infant in the river. The villager dove into the water, grabbed the baby and brought him ashore. The baby, although afraid and soaking wet, was fine. With a sigh of relief the villager wiped the water from her own eyes and looked out on the river. “What if I hadn’t seen him,” she thought to herself. Suddenly she heard more crying. She looked out over the river only to see another baby in the water. Once again, she dove into the river and rescued the baby. Not a minute had passed before she heard more crying, and looking out over the river she spotted dozens more babies. Calling out for help, she was soon joined by the entire village and together they rescued as many babies as they could. But the babies just kept coming . . .
A group of villagers decided to go upstream to find out why the babies were in the river. They came upon an ogre – tossing babies into the water! The villagers realized the only way to keep the babies safe was to deal with the ogre. Pulling the babies out of the river is essential. How can we live with ourselves if we don’t try? When the villager called her neighbors to the river, she mobilized the community. But going upstream and confronting the ogre is creating a lasting change in the condition that causes the problem. The moral is . . . we must do both. When we stand together and give to United Way we are helping to deal with immediate needs – for lives that are teetering on a tightrope, we provide a net. But we are also fixing problems that hold people back. To create opportunities out of need and crisis, we provide a ladder, — a way out of the hole. Not one of us can create this lasting change alone. It is when we stand together, give as a group, that we make the greatest impact. We deal with the ogre as well as saving the babies. WORZALLA is kicking off our United Way Employee Giving Campaign. Each dollar given is worth two, thanks to a corporate match. 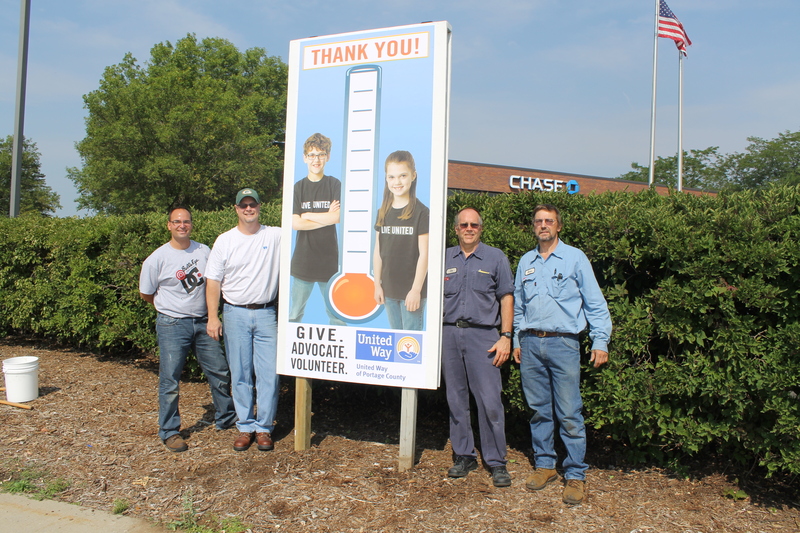 United Ways across the country are conducting their annual campaigns. Your money stays local, to address local issues and help your friends and neighbors. In our community United Way supports 34 programs with a focus on Education, Income, Health, and Community Basics. United Way is in the fabric of our community, at the center of local initiatives, a partner in tragedy and a champion for improving lives. Please join your friends and neighbors in giving to United Way. Together we can make a difference. What do Spaghetti, Birds and Baseball Have in Common? Three great books — manufactured at WORZALLA — all winning PPN Book Show Awards. Publishing Professionals Network (PPN) selected each of these titles for a Recognition of Merit. The awards will be presented at the upcoming PPN Book Show in January 2014. 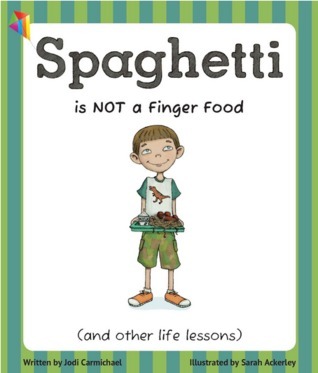 Congratulations to Little Pickle Press, publisher of Spaghetti is NOT a Finger Food (and other life lessons) — written by Jodi Carmichael and illustrated by Sarah Ackerley. This hilarious chapter book chronicles a typical school day that is anything but typical for an eight-year-old boy with Asperger’s Syndrome. Through his personal dialogue, a day in the life of Connor is written in fourteen life lessons. Written with clear perspectives of Connor, his teachers and classmates, it helps the reader to understand the thought process of a “quirky” kid. 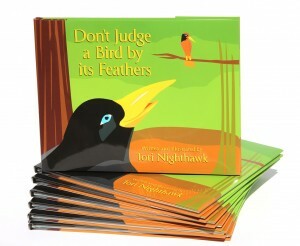 Don’t Judge a Bird by its Feathers, written and illustrated by teenager Tori Nighthawk, is another deserving winner of the PPN Recognition of Merit. This is a story of Phoenix, a rather plain bird who can’t dance well, but who wishes to capture the heart of Luminous, the most beautiful bird of paradise in the Highlands of New Guinea. This book teaches children that surface appearances are far less important than character. Congratulations to Tori and to our customer, Anne Stone Publishing. 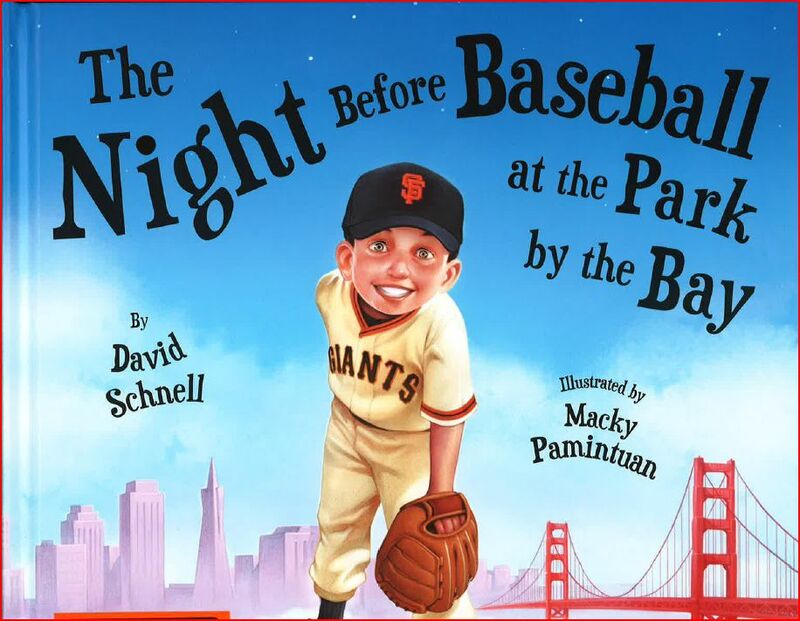 Our third award-winner is a special book we did for the San Francisco Giants — The Night Before Baseball at the Park by the Bay, written by David Schnell and illustrated by Macky Pamintuan. This beautiful book is written in verse, describing in detail a little boy’s dream of being a major league pitcher and pitching as the “closer” on Opening Day at ‘the park by the bay.’ The Giants gave away 10,000 copies of this book to their fans at their July 6, 2013 game in an effort to spread the joy found in families reading together. The Publishing Professionals Network (PPN), founded as Bookbuilders West in 1969, is a nonprofit trade association supporting book and book-related publishing in the 13 Western states. The PPN Annual Book Show is where the best publications are recognized for excellence in design and manufacturing quality. We are proud to add these three wonderful books to our ever-growing collection of award-winning and high profile titles printed and bound at WORZALLA, Stevens Point, Wisconsin, USA! 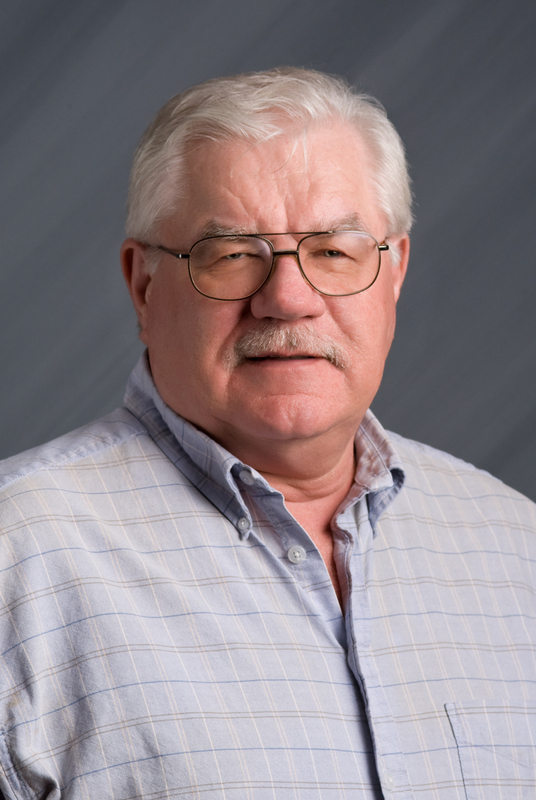 After 45 years of distinguished service, Chet Plaski has announced his retirement from Worzalla. “We owe Chet so much for the contributions he has made in the pressroom, on our board and especially with the relationships he’s developed with our customers over the years. He has had a major role in making Worzalla the company it is today”, stated Jim Fetherston, President & CEO. Looking Back: Chet began his career with Stevens Point, WI based WORZALLA on December 4, 1967, back in the days of Linotype printing. His first position was “Lockup Boy,” taking the lead-type pages from the Composing Room and arranging them in print format for the press. He would then disassemble the type and return it to Linotype. By 1971 Chet received his Journeyman Card in Letterpress and transferred into the Offset department spending six months on the night shift before moving back to days as a Feeder. With the opening of the company’s new pressroom in 1975 he was promoted to Pressman, running the Miehle M-25, the Multilith, and the Miller TP-38 presses. In 1981 WORZALLA purchased the Miller 54-4 four-color press and Chet went back on the night shift as a Working Foreman, running the 54-4. The company also entered the web market with a Hantscho four-color web press. On December 31, 1986, the company became 100% employee-owned, sparking a period of tremendous growth. The pressroom welcomed a new Manroland 800 press. The legendary Frank Anderko (former VP-Manufacturing, who died in 1997) promoted Chet to Night Plant Superintendent. Chet began working directly with customers, handling press OK’s on the evening shifts. By 1990 the 806 and 802 presses, both also from Manroland, had come along and played a big part in growing the business. The web pressroom was expanded in 1992 to include a Timsons one-color web press, with a second Timsons to follow in 1998. In 1993 WORZALLA decided to expand and bought the Bookbinders plant in Eatontown, New Jersey, and installed two Manroland presses — an 800 six-color and a 600 46C — in that facility. When that division closed in 1994, both presses were shipped west and installed at WORZALLA’s plant in Stevens Point. When long-time Press Superintendent Bernie Peterson retired in 2003 Chet moved back to days and took over the department as the Press Room Manager. In just the past year, Chet has overseen an expansion of the company’s web press room with the successful installation of two web presses, a Manroland Lithoman and Rotoman that are significantly increasing web capacity. When Chet was just starting out working with customers, he got some good advice from sales representative Peter Kimball – “Always be honest, don’t BS the customer.” Chet says he never forgot that advice, and customers today still count on Chet’s disarming ability to shoot straight. Chet has also had the pleasure of working with famous children’s book authors and illustrators on many award-winning books — Alan Say, Steven Kellogg, Bernard Waber, David Weisner, Marc Brown, Kevin Henkes, Jeff Kinney and just recently, Jessica Lange. Many Hats: There is no doubt Chet has been a valuable leader in our press operation. But he has done much more for every associate here, with his 27 years of service on the WORZALLA Board of Directors. When the employees purchased the company in 1986 a new Board was formed, consisting of three management and three non-management directors. Chet was a founding director, and served in that capacity through July of 2013. He also served as a Trustee of the ESOP (Employee Stock Ownership Plan). Chet’s volunteer service on the WORZALLA Board of Directors helped to guide and grow the company, and helped us all to weather the occasional downturns in business and changes in the industry. Chet himself will still be around for a few months to assist in implementing a changeover in department management, and to keep several initiatives moving forward. So there will be time to stop in, thank him for his contribution, and wish him well in his retirement.